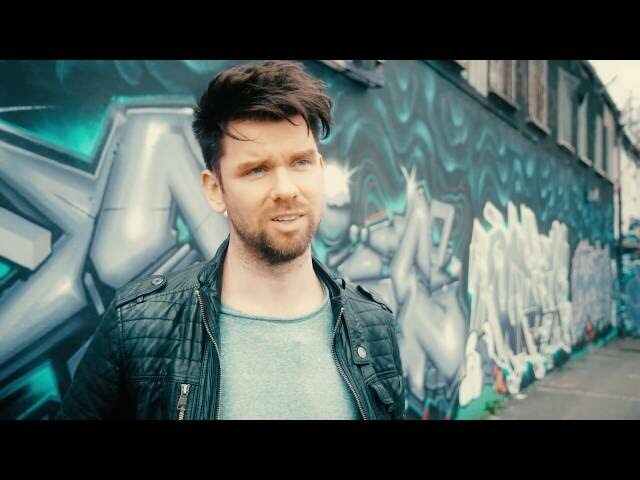 Broadcaster Eoghan McDermott, discusses what he’ll be doing as a Thank You Fund ambassador, why the art of face-to-face interaction is dying and his audition for the Society of Irish Magicians. I get asked to do a lot of stuff and I say no to most of it. But this initiative is important. Thinking back to when I was young compared to now, there are so few face-to-face interactions anymore. Instead it’s all faux communication. So young people getting together and developing social skills, ideas, thinking, doing, making, creating on a face-to-face basis – any kind of community endeavour that promotes that is brilliant and really necessary, now probably more than ever. When I was a teenager I was always out in the evenings. And socialising was a physical interaction. Now that's a dying art form. It’s sad. So anything that helps foster good local community relations for creativity is really needed. I just really want to get the word out to young people that this is going on. I'm sure there are loads of people who have a talent or a skill or something they want to try to do or achieve but don't have the opportunity to do it, or don't feel they know how to go about it. The Thank You Fund can help. For example, I saw a local ad for this 15-year-old kid who is coder, who was looking for other coders to work with. That could easily turn into a local coding club for teenagers who want to create apps. The Thank You Fund could help foster that spark, that sense of creativity in young people. Lack of face-to-face contact – I think it's huge. I'm sure people have inclinations or ideas that they want to follow and chase up and if they found someone they could spark off – that's where the best creativity and ideas come from. The less people socialise, the less chance you have of that creativity sparking. Try new things and meet new people. Randomly I learnt a card trick when I was young off my uncle and I said 'that's fun'. So from there I found the Society of Irish Magicians and I auditioned for them. It was the worst audition ever! But I still got in and I met a young Keith Barry (Irish TV magician) and all these young magicians. Some of them were there for the craic and other people, like Keith, went on to make an absolute fortune and a great life and travel the world. All from what initially was a hobby as a teenager. Most people will discover what their passion is when they’re a teenager and, be it music or digital creation or film-making, you often find what you love as a teenager – so try new things and don't be afraid to fail. Randomly I was always interested in dancing, from just looking at music videos. But men didn't really dance that much when I was younger and, if they did, it was like that real 80s aerobic 'Fame' thing. But I started taking loads of classes and getting really into dancing and then set up the dancing society in UCD (University College Dublin). Then I auditioned for a dance college in New York and got in, so I moved to America. That kind of kicked off my whole career in a roundabout way. So getting involved in a community is really important. Just jump in and get involved! I suppose getting accepted into that New York dance school after I finished college. When I came back from America this girl contacted me randomly – she had seen a video I had done on YouTube – and she said 'Hey, I'm a singer. Will you choreograph me?' So we choreographed her and she ended up getting asked to support Chris Brown! We toured with him for about six dates and then, at one of those concerts, there was a director who was filming a drama series. He got in touch and said 'I saw you at the Chris Brown gig, do you want to be in this show?' I did the show and off the back of that I was offered a TV music show to present. So that's how I fell into presenting. So, if I had never auditioned for the dance school, even though when I started dancing I wasn't particularly good, I probably would never have ended up in the media. So you never know what way life will ebb and flow. Meet the other Thank You Fund ambassadors Joanne O’Riordan and Pete Snodden.